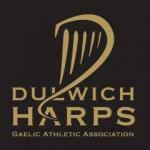 Dulwich Harps are back to preseason training. The Ladies team are Training on Saturday Mornings and Monday Evenings – Contact Ursula on 07446 977 739. Dulwich are holding their annual race night on the 14th of April. Venue TBC. Check us out on Facebook for more details.